For those of you who weren’t aware, last week was the 30th anniversary of Banned Books Week! Banned Books Week is held each year to bring awareness to the detrimental effects of censoring literature. 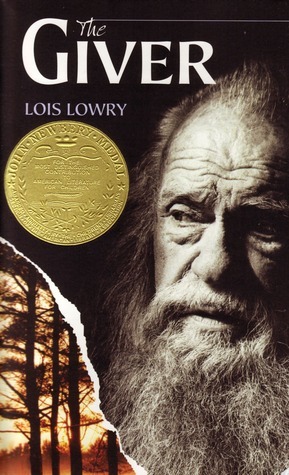 In honor of Banned Books Week, I decided to read The Giver by Lois Lowry, which was one of the most frequently challenged books of the 21st century. The Giver is a dystopian novel about a boy named Jonas who lives in a very controlled community. In his community there are no choices: a person is assigned a job, spouse, living space, and even children. Since he has gone his entire life knowing only this type of world, he believes, like the rest of his community, that choices are dangerous and the reason everything is so controlled is simply to keep them safe. When Jonas turns twelve years old, he is selected to be the new Receiver, meaning he will hold all of the memories of the past. When he meets with The Giver and starts Receiving memories, he experiences not only pleasure and happiness, but pain as well. But what he really receives is the truth, which makes him question the life he’s always known. The Giver is a really beautiful story and really emphasizes the importance of being an individual. It teaches us that being different is a good thing. It also teaches the importance and value of choice. Jonas lives in a community where everything is decided for him. He was raised to believe that being different is dangerous and that the leaders of the community know what is best for him. Once he begins Receiving memories however, this begins to change and he realizes that there is so much more to the world than he originally thought. The fact that The Giver has frequently been on the banned books list over the years is really sad, because a book that encourages individuality should be on the required list in all middle/high schools. Kids at that age are under the constant pressure to fit in and dress or behave a certain way, and a book like The Giver could help them realize that individuality and being different is not necessarily a bad thing. The Giver was published in 1993 and won the Newbery Medal in 1994. It is the first book in The Giver Quartet, which consists of The Giver, Gathering Blue, Messenger, and the final book, Son, which was just published on October 2, 2012. What banned books have you read over the years? Has anyone ever tried to ban a book in your school/community?